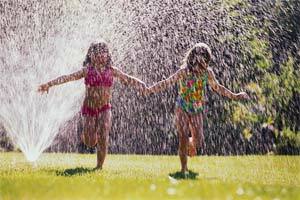 Get the most out of your irrigation system this summer! It’s the middle of summer and in Texas that means scorching temperatures and thirsty landscapes. While watering restrictions are still in effect in and around Austin, it’s still possible to maintain healthy lawns and gardens. The trick is to stay on top of your irrigation system and pay attention to the signals your plants are sending you. Here are some tips to help you make the most of both your equipment and your available allotment of water. 1. Inspect all parts of your irrigation system. Leaks and breaks will not only create unsightly wet spots and mud puddles, they’ll also end up wasting both water and money. As well, any clogs present in your system will restrict water flow and result in stressed and dying plants. 2. Observe your trees, plants and bushes. Be on the lookout for leaves that are turning a lighter shade of green or yellow or are dull, wilted, or drooping. This may indicate that the plant in question requires extra watering which you may need to do by hand before 10AM or after 7PM. Also be aware of heat wilt, a condition in which otherwise healthy plants will begin to wilt because they are tired of reflecting the intense heat they’re receiving from the sun. To relieve this condition, you can build shade structures around them or add compost to the soil to enhance the nutrients that the plants are receiving. 3. Program your controller appropriately. Knowing how much water your plants require and how much water your system puts out is integral to programming your irrigation controller. While you’ll only be able to water once a week using a regular irrigation system, remember that you can always hand-water as necessary. 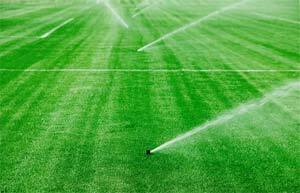 At South Austin Irrigation, we can help you make the most of your irrigation equipment. Whether you need inspection, repairs or advice, our experts will ensure you get the very best service we can offer. Let us show you how your lawns and gardens can survive–and thrive–in the hot summer sun of Texas! Controllers were once a simple clock that could only be programmed to start and stop sprinkler run times, regardless of actual weather and soil conditions. Today’s controllers, known as smart controllers, are far more advanced than those earlier models, and if you don’t have one, you really should think about upgrading. Not only do they reduce water waste, but they’ll also save you money. In communities where there are watering restrictions, smart controllers can keep your plants and lawn healthy within conservation watering schedules. 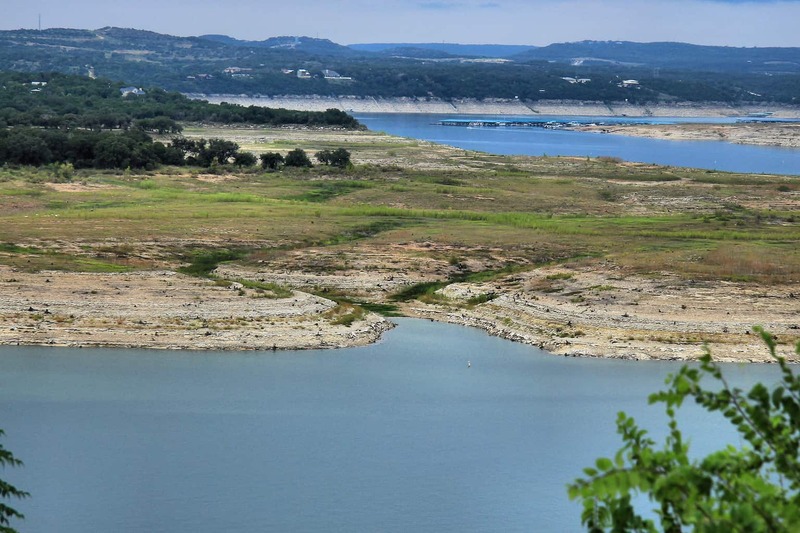 Austin Water even has a rebate program for irrigation upgrades. Programmable using a computer, tablet, or smartphone. The system’s current status can be viewed and changes made to the program remotely. Programming can also be done manually at the panel. Flow sensor data. The flow sensor will shut down the system if it detects a flow higher than the programmed limit, which could indicate ruptures or leaks. Rain sensor data. The controller will shut down the system if a specific amount of rain has fallen, or even prevent the system from starting if rain is detected. Soil moisture sensor data. The controller won’t start the system if it senses the soil is wet enough. Freezer sensor data. The controller won’t turn on if the temperature drops to a specific degree (e.g. 37 degrees). Wind sensor data. 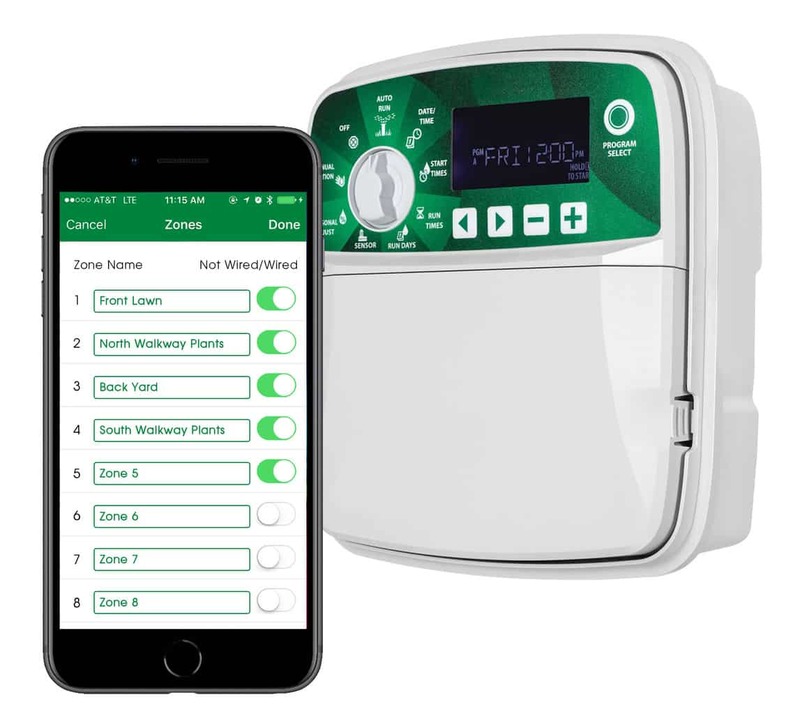 The controller will shut off the irrigation system during periods of high wind (shut down points are adjustable), then automatically reset the system when conditions are more favorable. Daily weather data received either remotely, or from an on-site weather station, and used to determine watering needs. Detailed statistical reports and charts provided to allow users to track water usage and manage scheduling. Automatic notifications of failure alerts sent by email or text to a technician and/or home owner. Allows customized watering for zones. Works with digital assistants, so you can start or stop your various zones with a voice command. This document provides a comparison of smart controllers, including detailed information about each controller’s capabilities and specifications. There’s also a list of definitions used with smart controllers at the end of the document. There are two types of smart controllers: weather-based or evapotranspiration (ET) controllers, and soil moisture-based controllers. These use historical weather and water use data for your area to determine what amount of water is required. Usually it only resets the time monthly. The historic data is not perfect, but for most users it still gives significant water savings. Occasionally, you will have to override the automatic control settings, especially if you have unusually hot weather for the month. On some models you only have to enter your zip code to set up the controller, and it accesses the historic data from its memory. On other models you have to manually key in the historic data from the user’s manual or a website. These controllers use historical data to determine watering time, but then adjust the time based on a sensor, either a temperature or solar radiation sensor. This combination is more accurate than just using the historical data alone. If the daily high temperature is higher than the historical data, the controller adds more time. If the temperature that day is lower, the controller reduces the watering time. This type of controller uses water and/or weather data provided by a remote provider. The controller receives data from either a central data provider, or from a local weather station via radio, the Internet, or a mobile device. Usually there’s a subscription charge for the data service, as well as charges for the smartphone, tablet, Internet, or radio link. The data can be very accurate if it comes from a nearby weather station. It can also be very accurate if it comes from a central database of historic data that is managed expertly for current conditions. These controllers have their own weather stations you install with it that calculate ET continuously, and adjust the irrigation times according to weather conditions. Such sophisticated controller systems can provide accurate data if the sensors are high quality, positioned according to required standards, and well-maintained to keep them functioning. This type uses sensors to determine the moisture content of the soil. Moisture sensors are buried at the root zone level of turf, trees, or shrubs, to measure the actual amount of moisture in the soil and transmit this information to the controller. The system compares this reading to the recommended moisture level for the plant, soil type and other variables that were programmed when the controller was first installed. Soil moisture sensor controllers (SMS) use two types of control strategies: by-pass and on-demand. These are set like traditional timed controllers, with watering schedules, start times, and duration. However, the system will stop the next scheduled irrigation when it senses there’s enough moisture in the soil. Most of these types of controllers are added to an existing time clock, and many of these only include one soil moisture sensor. In this case the sensor should be buried in the driest irrigation zone, and the run times for the other zones should be adjusted to prevent over-watering. Some controllers, though, have multiple sensors, one for each irrigation zone. These controllers aren’t programmed for duration, only for start times and days of the week for watering. They initiate irrigation at a user-set low soil moisture threshold, and terminate irrigation at a high threshold. Soil moisture-based controllers can be retrofitted on existing irrigation systems. Many manufacturers also make soil moisture sensors that can retrofit to existing systems and interface with the current controller already on-site. For advice on what type of controller is best for you, and for repairs and maintenance of your sprinkler system, call South Austin Irrigation at (512) 534-7449 or fill out our service request form. Playing in sprinklers is fun. Having sprinklers that aren’t working is not. Find out how to make quick fixes, but call us for professional assistance. Water conservation—and in some areas, water restriction—is a fact of life for all Texans. So it’s probably a good time to check your sprinkler system to make sure that it’s working in as energy and water efficient a way as possible. The first thing you should do is turn on each valve in your irrigation system one at a time. 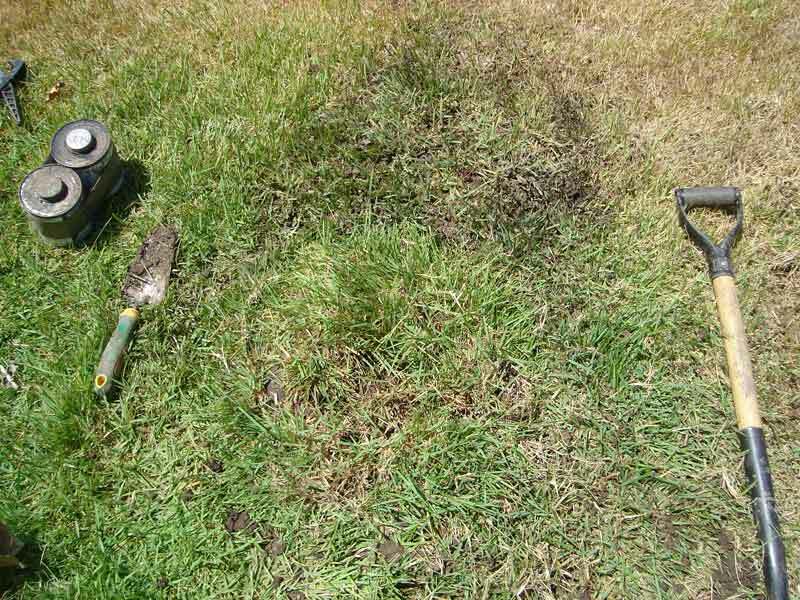 As you do so, look for telltale wet spots that could indicate the presence of a leaking irrigation pipe. If you find any leaks at all, get them repaired immediately. Next, check your irrigation controller battery which is typically of the 9-volt alkaline variety. If it’s not fully charged or if it’s more than two years old, replace it. The battery is typically located behind the front panel of the controller: you may find that you will need to remove some screws or open the panel to reach it. Inspect all sprinkler heads and straighten any that are leaning to the side. They need to be at a 90° angle to the ground to work properly: the same holds true for sprinkler heads positioned on a slope. If they lean to one side or the other, they may create dry spots and worst of all, waste precious water. Broken or malfunctioning sprinklers should be replaced. Make sure that you buy the same brand and model of sprinkler as the ones that are on the same valve circuit. 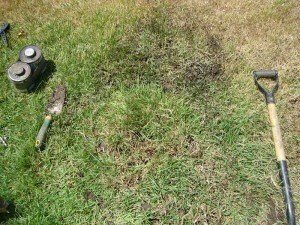 You may find that some sprinklers are already mismatched, so you need to replace those as well. While it’s true that many sprinkler models are now compatible with other models, mixing sprinklers on the same valve circuit can result in needless water loss. However, it is possible to use different sprinkler models if they are on different valve circuits. Whether you need help with irrigation system advice or repair, South Austin Irrigation can make the job of landscape maintenance easier and more efficient. Call today for service. You’ll be glad you did! Call (512) 534 7449 for fast service, call or fill out the form on this page. You’ve turned off your sprinklers and notice that water is flowing onto the sidewalk or curb but then stops after a few minutes. Clearly, there’s a problem and one that’s compounded by the fact that you have to deal with water usage restrictions as well. What is going on? And how do you do deal with it? The phenomenon you’re seeing is probably due to something called “low head drainage.” This typically happens when a sprinkler system is installed on a sloped area. The slope itself doesn’t have to be sharp. A change of elevation that’s less than 12 inches can still cause problems. The main difference between low head drainage and a leaking valve (which could also explain the water overflow) is that low head drainage results in water flowing from the lowest sprinklers for a period of time after they run but all drainage stops after the pipes or empty. If the valve is leaking, water will run out of the lowest sprinkler head 24 hours a day until the valve is fixed. To correct a low head drainage problem, you need to install special anti-drain check valves at the sprinkler heads. These devices prevent water from draining out of the pipes through the lowest sprinklers. Most major sprinkler brands can be retrofitted with a new internal check valve: unfortunately, though, retrofit kits can be difficult to find. You may find it easier to just buy a new head with a check valve feature and replace the old sprinkler with a new one. Since this kind of equipment is not available at hardware stores, you’ll likely have to buy it online or from a local irrigation specialty store. The experts at South Austin Irrigation can advise you on where to purchase sprinklers with check valves or retrofit check valves and can also help you with the actual installation. Contact us today and let us help you save time, money and water. This is information for do-it-yourselfers. South Austin Irrigation does not deal with drainage issues, only irrigation equipment repair.